Use the diagram below to determine if you are eligible for services at Holland Free Health Clinic. 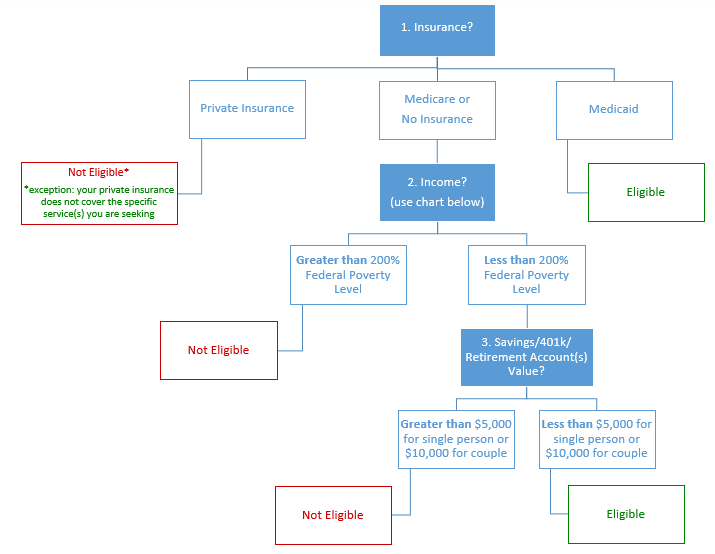 Income Chart (Question 2): to be eligible, your monthly/annual income must be less than the amount listed for your household size. Number in household includes yourself, a spouse, and your dependents (people you are financially responsible for). Income includes salary/wages, child support, social security (disability and retirement), SSI, retirement/pension, unemployment, rental income, workmen's compensation, veteran benefits, and investments.